Observation - Pine tree - UK and Ireland. Description: Tall tree on the edge of a copse. Girth 2m. I think it is a Scots Pine but am not sure. Tall tree on the edge of a copse. Girth 2m. 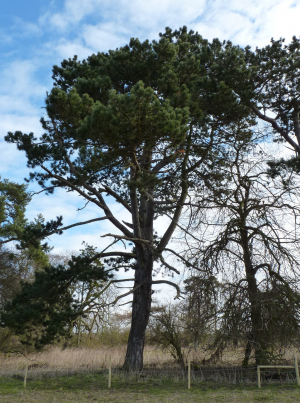 I think it is a Scots Pine but am not sure.